Fully understanding components geometry prior to assembly is critical when faced with the ever growing environmental pressures and increasing fuel prices. The significantly more reliable measurement data collected by iMAP enables rotor stacking software to accurately manipulate component parts, resulting in precisely aligned rotor assemblies. 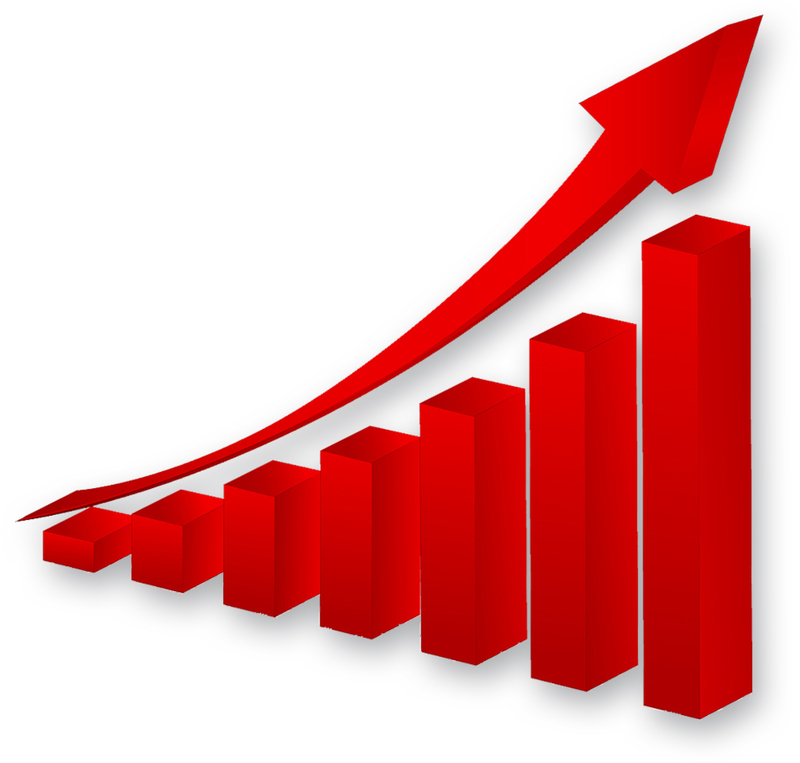 iMAP has been independently verified and proven to offer our customers significant operational improvements over their traditional measurement methods. 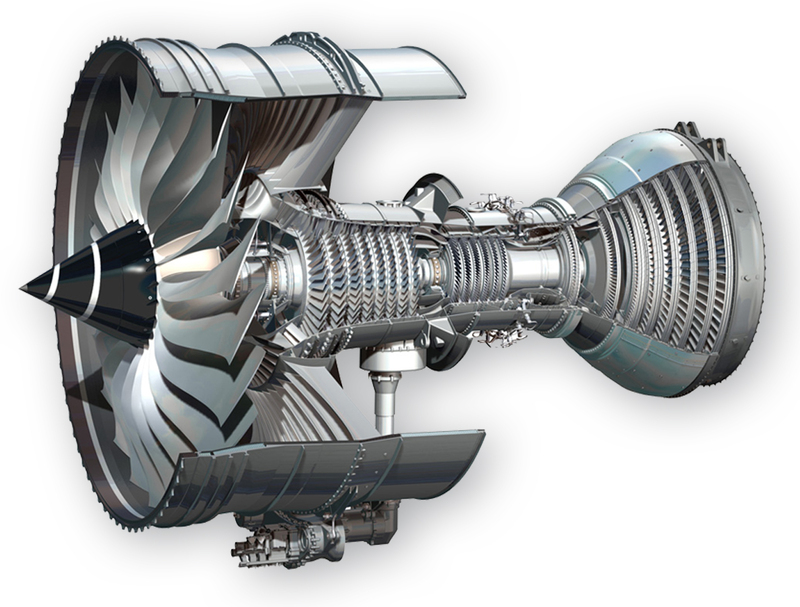 Aerospace trends and challenges show that significant long term investment by the leading manufacturers and operators are required to support the rapidly growing global demand for these engines with some of the big changes already underway. The direct consequence of this increased demand for new engines means the MRO market will also increase at a similar rate to meet demand. MRO is defined as off-wing repair and replacement of parts to restore the engine to designed operational condition. The engine is disassembled and inspected with parts repaired or replaced as necessary. iMAP’s capabilities deliver new levels of accuracy, flexibility and performance over a wide range of calibration and inspection applications. 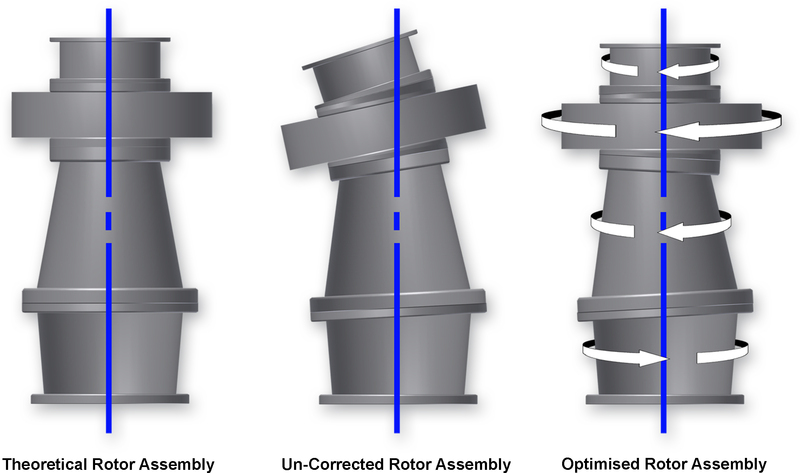 Software algorithms address profile distortion due to part misalignment, “intelligent probing” corrects for part off-centring errors of up to 2% of the part radius with negligible error. Inspection Templates and Inspection Data Files are easily distributed via email for analysis using the free downloadable viewer or via PDF generated reports and CSV files. IntelliStack™ is software designed to solve the mathematical problem of how to best assemble a multi-stage rotor assembly. The Rotor Stacking Program can be used for the assembly of Industrial Gas Turbines, Steam Turbines, and Aircraft Engine Rotors. iMAP offers extremely high levels of accuracy boasting sub-micron measurements and repeatability. AccuScan’s ability to measure 3,600 data points on up to 8 surfaces simultaneously per revolution will significantly reduce your process times compared with other available methods. Up to 8 surfaces can be measured simultaneously with the total number of surfaces that can be measured unlimited. iMAP’s cleverly designed bearing options not only guarantee the highest precision available but a very high load carry capability. iMAP has been specifically designed for shop floor use and employs B89.3.1 Standard – Profile Filtering to remove all background interference. Designed for the collection and analysis of circular geometry inspection data including Roundness, Eccentricity, Diametral Runout, Planar Runout, Circular Flatness and Parallelism. AccuScan™ can be supplied with probes to best suit your application and can include LVDT, Half Bridge, Laser, Wireless Laser, Eddy Current and Capacitance. The sub-micron circular geometry reduces process measurement uncertainty to a level where iMAP can be considered your measurement reference standard. Gage R&R, which stands for gage repeatability and reproducibility, is a statistical tool that measures the amount of variation in the measurement system arising from the measurement device and the people taking the measurement. 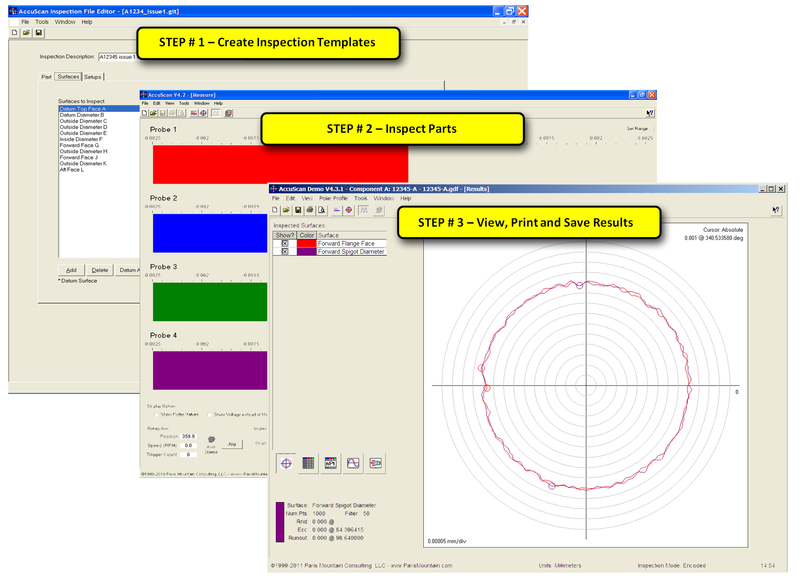 Step 1 Select an Inspection Template and Assign color-coded probes to surfaces. iMAP’s features have been designed to help you get the job done. The simple and intuitive full-featured Windows software enables any operator to quickly and easily inspect the type of complicated parts normally associated with gas turbines. Inspection templates can be generated at the machine using AccuScan™, independently on any PC anywhere in the world using AccuScan IFE™ or a combination of both. Raw inspection data is collected and stored so datum’s, surface definitions and measurement units can be changed at any time with results being recalculated dynamically. Out-Of-Tolerance Flagging quickly identifies to the operator non-conforming parts. Clicking the Help button located in the top right hand corner of any screen gives the operator instant access to the comprehensive user’s instruction. Probe calibration is accomplished using the Probe Calibration Wizard, which is accessed via the Tools menu. The calibration is a multi-step process, and instructions are displayed at each step. Centring and levelling platens allow the operator to easily position the part with radial adjustments of +/-12mm and tilting of +/- 1 degree. iMAP utilises very high accuracy air lubricated hydrostatic bearings which guarantee exceptionally good motion geometry. The anti-vibration granite base assembly helps to guarantee accuracy by isolating the measurement process from shop floor interference. Lasers aid alignment of the measuring probe with each other and component / process datum’s. The lasers project a green line down the length of the component under test. 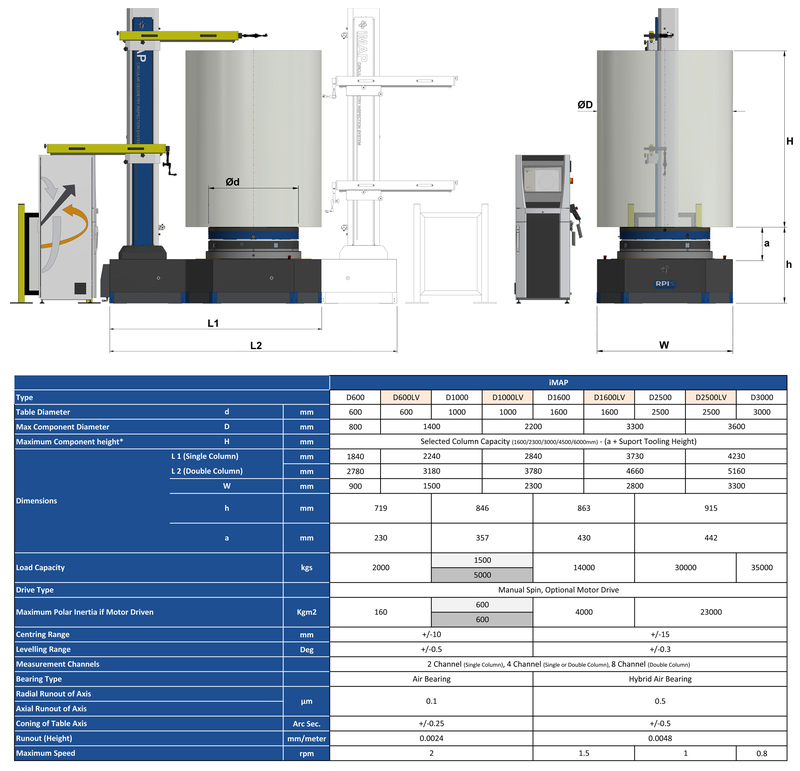 Column Units provide a rigid platform on which to mount the measuring probes and can be manoeuvred by counter-balance arms and locked at any position via a mechanical clamping system. IntelliStack™ can be used for the assembly of Industrial Gas Turbines, Steam Turbines, and Aircraft Engine Rotors and is fully compatible with all AccuScan inspection systems and will significantly improve rotor assemblies by iteratively calculating each part’s optimal position with respect to its neighbours and its effect on overall rotor quality. Stacking parameters, including number of parts per assembly, number of allowable positions for each part both with no theoretical maximum, stacking methodology (e.g. runout-driven or balance-driven) and more, can all be configured by the user. Stacking parameters for each part can be pre-programmed at the same time as inspection parameters using AccuScan IFE; inspection results will then be “stack-ready” when generated by AccuScan™. Re-usable Stacking Templates can be created and used for repetitive assembly scenarios. By pre-programming stacking parameters and using Stacking Templates, just a list of part IDs are needed to run a stack. Sub-assembly stacking, partial stacking, known or locked-position stacking, and part-replacement stacking are all scenarios that can be accomplished using IntelliStack™. Benefits include reduced assembly time, avoidance of costly rotor teardowns, lower runout and unbalance, and a better understanding of machining process capabilities and their effects on rotor assembly. RPI is a UK based company which has a long established reputation as a specialist developer of high precision rotary devices for inspection and manufacturing systems.